While the weather may not agree, Spring is right around the corner. With longer days and warmer weather, more motorcyclists will be hitting the road. New Jersey has some of the most ideal roads for taking a cruise on your motorcycle. With that being said, motorcyclists are the most vulnerable population when it comes to New Jersey’s roadways. Due to the lack of safety restraints such as seatbelts and their small size, motorcyclists make up a large percentage of serious injuries or death resulting from motor vehicle accidents. Legally, motorcycle accidents are treated differently than other forms of automobile accidents. First, all motorcyclists in the State of New Jersey are required to carry motorcycle insurance. This insurance mandate sets the policy limits required for motorcyclists. A motorcyclist must have a minimum of $15,000 bodily injury coverage per person involved in the accident, $30,000 total bodily injury coverage per accident, and $5,000 coverage for property damage. Most insurance companies will be able to help you decide which policy is legal, and best suits your needs. You may decide to purchase policies with more expansive limits in case of a serious accident. 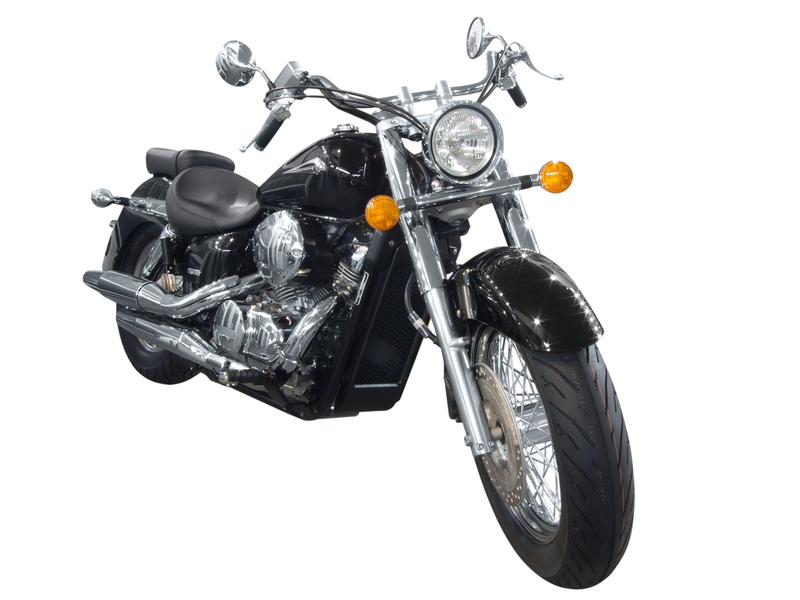 Purchasing the correct insurance policy is key to operating a motorcycle. This is because the State’s no-fault regulations do not apply to accidents involving a motorcycle. Therefore, if you are in a motorcycle accident as opposed to a car accident, you would either have to pay your medical bills out of your own pockets, use your health insurance, or arrange for your treating doctors to place a lien on any personal injury claim you may bring. Even if you are fortunate enough to have your personal health insurance cover the costs of your injuries, your insurance company may attempt to place a lien on your personal injury claim to recover payments they made to your treating providers. This is dependent on the language in your policy and is known as ERISA preemption. Because the no-fault regulations do not apply to motorcycle accidents, determining fault in the accident will drive the consequences of the accident. If a motorcyclist is at fault for the accident, the injured parties may file a claim against the motorcyclist’s insurance policy. However, since statutory limits discussed above are fairly small, many motorcyclist’s policies will not cover the full extent of the injuries. This will leave the injured parties with no other option than to pursue a personal injury claim against the motorcyclist individually for negligence. The claim may also include any property damage caused by the accident. If the motorcyclist is not at fault for the accident, New Jersey law allows the motorcyclist to file an insurance claim with the at-fault party’s insurance company. In that case, the other party’s insurance may be sufficient to cover the injuries. If not, the motorcyclist will have the same ability to file a personal injury lawsuit against the at-fault party. In both cases, it is important to seek immediate medical attention and begin treating so the physicians can document the injuries and damage. Additionally, seek the help of an experienced personal injury attorney as soon as possible. Accidents involving motorcycles can become complex. Obtaining the guidance of an experienced personal injury attorney can be the difference between obtaining adequate compensation and feeling like you are sinking in medical bills. If you or a loved one has been involved in an accident involving a motorcycle, contact an experienced New Jersey auto accident lawyer that may assist you in analyzing the liability of drivers and help you in receiving the compensation you deserve. The attorneys at the Rinaldo Law Group LLC are skilled New Jersey motor vehicle accident lawyers, who will fight for the compensation you deserve. For more information or to schedule a free initial consultation with our New Jersey motor vehicle accident lawyers, call (908) 352-2500 or fill out our contact form.